Gov. Paul LePage speaks at the Republican Convention in Augusta, May 5, 2018. AUGUSTA, Maine — A state judge has ordered Maine Republican Gov. 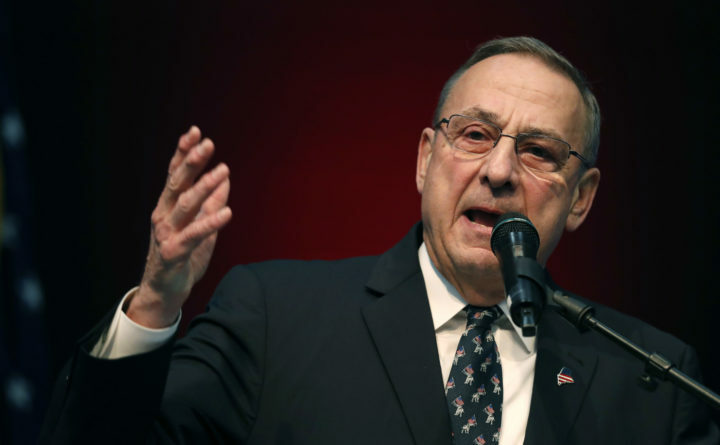 Paul LePage’s administration to file paperwork to expand Medicaid as voters demanded despite an ongoing appeal, and the governor vowed to fight the order Monday. Superior Court Justice Michaela Murphy on Friday denied a motion filed by the LePage administration, which does not want to file a Medicaid expansion plan while the state’s high court considers its appeal in an expedited process. The LePage administration countered Monday in an appeal of that decision to the Maine Supreme Judicial Court that courts are forcing the state to implement “massive new benefits” that lawmakers haven’t funded. Last fall, nearly 59 percent of Mainers voted to expand Medicaid by July 2 to over 70,000 adults with incomes at or below 138 percent of the federal poverty level. In 2017, that threshold meant $16,643 for a single person and $22,412 for a family of two. The governor missed an April deadline to submit a Medicaid expansion plan needed to receive eventually over $500 million in annual federal funds. LePage this month appealed a judge’s June 4 order requiring his administration to submit the paperwork to the federal government by June 11. Murphy said the harm to low-income Mainers being without Medicaid benefits outweighs harm to LePage’s administration. She acknowledged her order could create more litigation and uncertainty. “The executive branch’s refusal to act and follow the will of the people … has the potential to engender disrespect for duly enacted laws,” the judge wrote. A lawyer representing Department of Health and Human Services Commissioner Ricker Hamilton on Monday renewed his motion to allow the state to file the paperwork only if the state’s high court rules in favor of Medicaid expansion supporters. LePage has long said that before Maine expands Medicaid, lawmakers must fund the state’s share of the expansion cost under his terms, including no tax hikes. His office didn’t respond to request for comment Monday. The lawsuit filed by Maine Equal Justice Partners and other groups contends there are enough funds in the state’s Medicaid account to get through the current budget ending in mid-2019. There also is more than $140 million in unallocated funds that the state could draw from at any time, the group said. Maine lawmakers could consider a bill for $3.8 million in state funds to hire about 100 new staffers to roll out Medicaid expansion. Some lawmakers and advocates have been discussing whether such legislation should explicitly set aside surplus funds for Medicaid expansion. LePage disagrees with estimates that Medicaid expansion will immediately save Maine money, and contends the cost will grow exponentially. While the LePage administration estimates the first year of Medicaid expansion will cost the state $58 million, separate estimates by an independent firm and the Legislature’s nonpartisan fiscal office say that cost drops to roughly $30 million after savings. LePage vetoed Medicaid expansion proposals five times before voters approved it in a referendum. LePage said he considers Medicaid another form of welfare and has asked federal regulators for permission to require recipients to work and pay premiums. Maine serves about 268,000 Medicaid recipients, down from 354,000 in 2011. LePage credits the drop to his administration’s tightened eligibility restrictions. BDN writer Michael Shepherd contributed to this report.